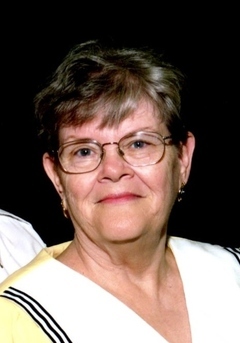 Martha Ann Bingham, 80, passed away June 16, 2018 at her home. Martha was born December 27, 1937 in Harlingen, Texas. She enjoyed sewing, working in the yard, and activities with family and friends. She met Fred Bingham on a blind date in 1954 and was married for 63 years. She was very active in her children’s lives as they were growing up, (Blue Birds, band, baseball and tennis). Martha loved to go camping, going to the movies, taking pictures, and reading. Survivors include her husband Fred Bingham, daughter Carol (Walter) Bickel, son Allen (Gwen) Bingham, 3 grandchildren, Chris Bickel, Joshua (Mary Ann) Bickel, and Aubrey Bingham, 1 great-grandchild Khloey Bickel. Funeral services will be held at 10:00 AM, Tuesday, June 19, 2018 at the Limbaugh Funeral Home in Portland, Texas, followed by a graveside service at 3:00 PM at the Choate Cemetery in Kenedy, Texas.